At Creekside Park in Holladay, it’s mid-January (read: cold), it’s muddy, and rush-hour headlights are growing brighter than the retiring sun. 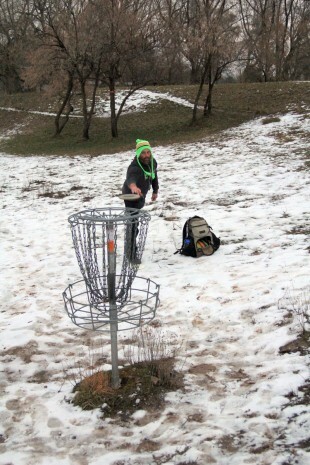 These aren’t ideal conditions for disc golf (aka Frisbee golf or frolf). 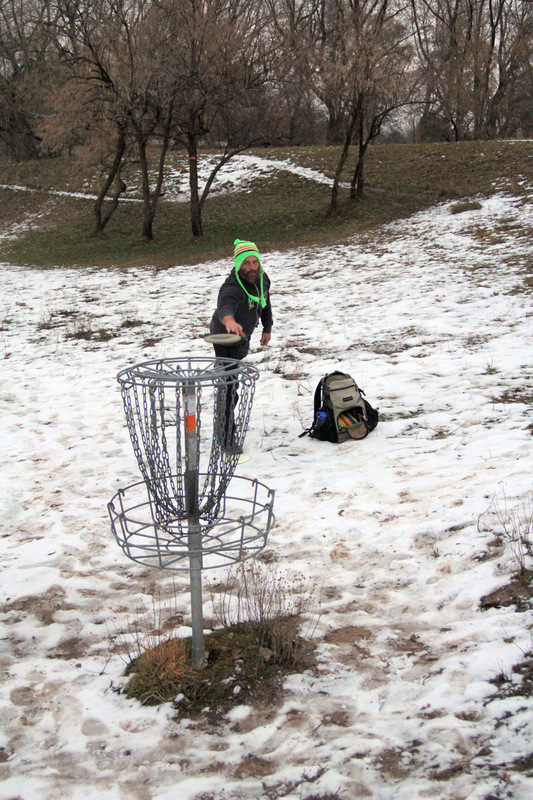 Yet there are still a few of us, bundled up with hand-warmers in our gloves, tossing discs at metal baskets. You can attribute that to dedication and addiction. “I’ve played in rain for hours, with ice and snow on the ground – sometimes you just gotta get out,” says 34-year-old SLCC alumnus Erik Johnson, who has been playing since the mid-2000s. 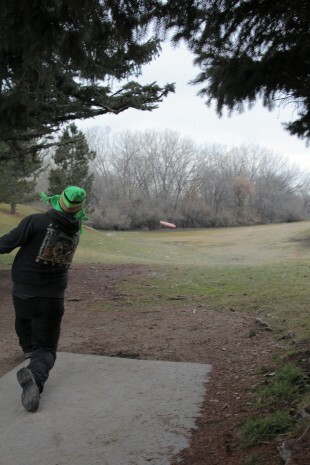 He’s likewise a die-hard, and is accustomed to throwing “every day in the summer.” So, too, is Ralphs and thousands of other Utah disc golfers. 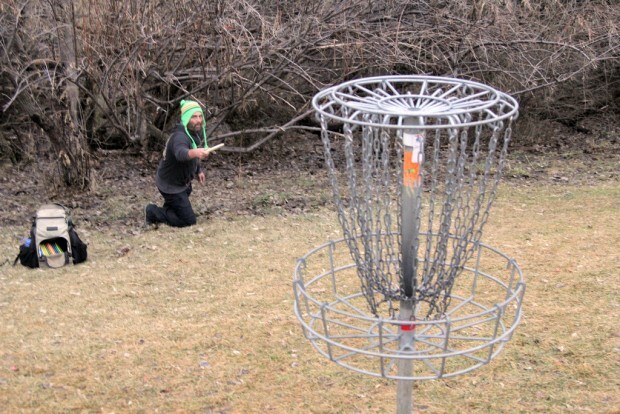 Disc golf is one of the fastest growing sports in the world, mainly because it’s universal. Anyone can play, regardless of age, gender or athletic ability. It’s easy to pick up because the rules are the same as golf: get the disc to the target in the fewest number of throws. 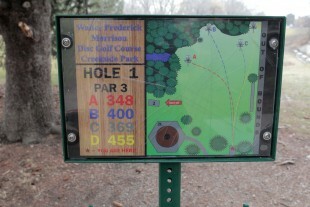 Disc golfers do this with a variety of discs designed for long drives, controlled midrange shots and short putts. 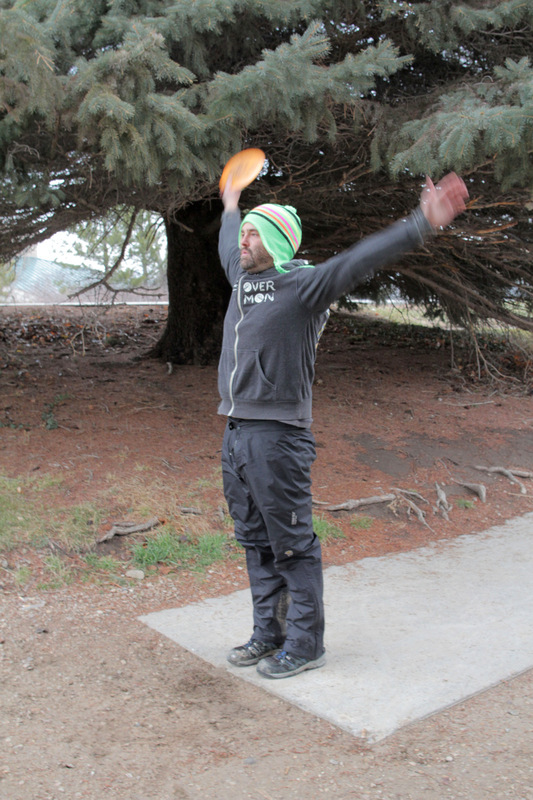 A huge part of disc golf’s allure, however, is watching the discs fly. It’s a virtual air show. A disc golf driver can fly as fast as 80 miles per hour, and can take graceful, swooping paths. In winter, they can take tremendous “rainbow skips” off ice, adding excitement to the game. “I had two hole-in-ones last winter that were skips,” Ralphs says. Creekside’s course is called the Walter Frederick Morrison Disc Golf Course, honoring the Utahn who invented the flying disc. It’s the spiritual home of disc golf in Utah, one of four courses in the Salt Lake Valley – and nearly four dozen courses in the State. 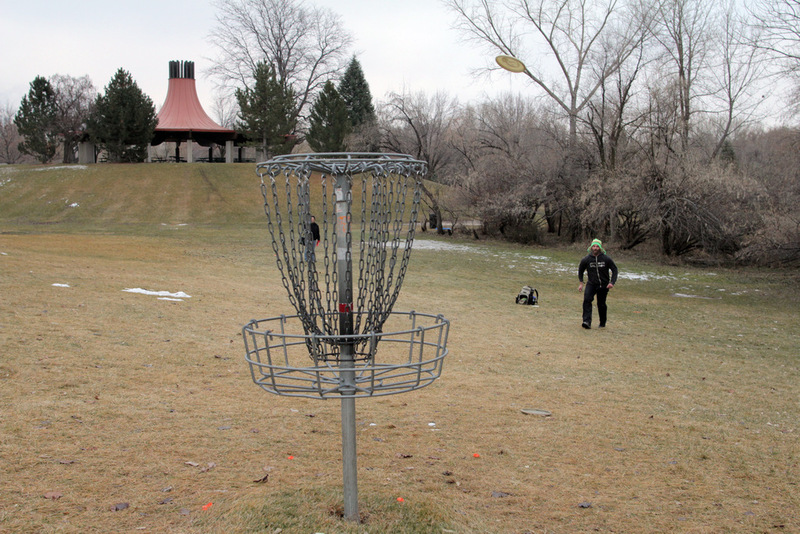 Other disc golf hotspots include the Roots course (at the old Jordan River Par 3 golf course) in Rose Park, a majestic 27-holer at Solitude Mountain Resort and another 27-holer at Riverpark in Riverdale. 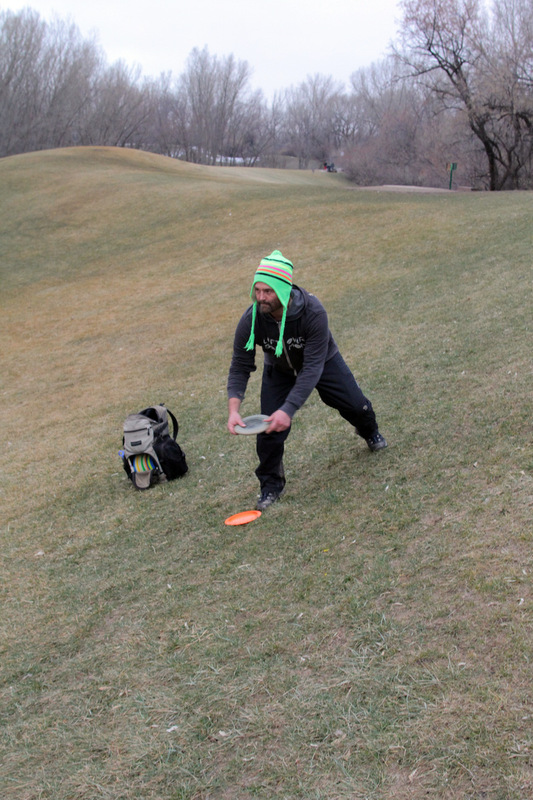 Each year, as disc golf wins more and more fans, more disc golf clubs pop up to host tournaments and “grow the sport,” as disc golfers like to say. Zach Ralphs stretches before his round of disc golf as he prepares to tee off at Walter Frederick Morrison Disc Golf Course. Zach Ralphs watches his shot approach the hole at Walter Frederick Morrison Disc Golf Course. Zach Ralphs concentrates for the shot as he approaches the hole at Walter Frederick Morrison Disc Golf Course.